If you use Trello a lot and often, your Trello boards are probably quite cluttered. It’s a good idea to declutter them once in a while to ensure that important items don’t slip off your radar. A spot of cleaning will also make Trello easier to navigate and the right data easier to find. Not sure where to begin? 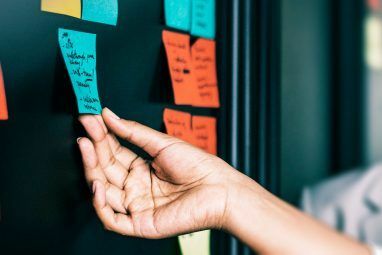 Start with these simple activities and make the relevant ones a part of your regular Trello cleaning routine. If there are any boards that haven’t seen much activity and probably won’t, you could consider archiving them. You can archive boards with the Close Board option hidden behind Show Menu > More. An archived board isn’t gone for good. It’s simply hidden and you can retrieve it via the Boards menu. To access this menu, click on the Boards button next to the Home button at the top left of the page. Next, click on the See closed boards item in the menu to reveal a list of your archived boards. Click on Re-open beside the board you want to retrieve. If you’re sure you don’t want it back ever, you can click on Delete instead. You might also want to unpin a few of the starred boards in the Boards menu to clean up the menu a bit. Trello lists and cards can also get out of hand at times. Why not archive the ones that are distracting, unused, or no longer relevant? To archive a list, first click on the List Actions button (three dots) next to the list name. Now select the Archive This List option that appears in the consequent menu. For cards, you’ll find the Archive option in the Trello quick-edit menu How to Use Trello: 10 Common Questions Beginners Ask, Answered How to Use Trello: 10 Common Questions Beginners Ask, Answered If you are new to Trello, then these useful Trello shortcuts and tips will help you get the hang of the project management tool in no time flat. Read More . To reveal this menu, tap the E key or click on the pencil icon that appears when you hover over a card. Like archived boards, archived lists and cards are also safe. You can view and retrieve them anytime from Show Menu > More > Archived Items. Want archived cards to show up on the relevant board automatically on a schedule? You can make that happen if you get the Card Snooze Power-Up to snooze cards for later. 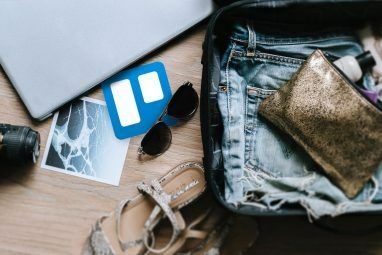 By the way, a Power-Up is nothing but an add-on in Trello terms and Card Snooze is just one of the handy Trello Power-Ups that’ll boost your workflow. You can install Power-Ups from Show Menu > Power-Ups. Stickers are a fun way to make cards look interesting, but it’s easy to go overboard with them. Get rid of stickers from specific boards or cards to tone down the visual clutter. You can remove stickers from the board view only. Hover on a sticker to reveal its Remove option. Labels can also contribute to Trello clutter. We recommend cutting out the extras from this department too. To delete a label, first click on Edit Labels from the quick-edit menu of any card. This reveals all the labels available for that board. Then click on the pencil icon next to the label you’d like to get rid of. In the Change Label popup that appears next, click on the Delete button at the bottom right. Before you confirm the deletion, keep in mind that you’ll not only lose the selected label from all linked cards, but also its entire history. 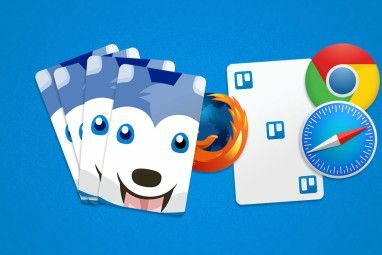 Like stickers and labels, Trello extensions can make your job easier. But having too many of them is not such a great idea. Weed out the ones that you no longer need/use. Have you kept now-irrelevant data from ages ago in Trello because you might need it someday? Maybe it’s time to store that data elsewhere and delete it from Trello. Trello lets you export data in the JSON format, which isn’t ideal because the format is not easy to parse. Thankfully, you can get a browser extension like Export for Trello to pull Trello board data to a spreadsheet format. This keeps it way more readable. If you still wish to export to JSON, you can do so from Show Menu > More > Print and Export. Here, Trello Business Class users, will see an option to export board data to a CSV file. The option appears grayed out if you don’t have a Business Class account. Stylish is an easy way to change the layout of your favorite web apps for usability. Its website will give you user styles or themes to change, hide, or get rid of specific elements from Trello. For example, Trello Flat Minimal creates a flatter and more compact-looking layout. Then there’s White Board With Colored Header, which gives Trello a cleaner look. Try Trello Slim Boards Drawer for a slimmer Boards menu. Trello is highly organized by itself and easy to use for such a complex app. But it does get cluttered with regular use thanks to its complexity. 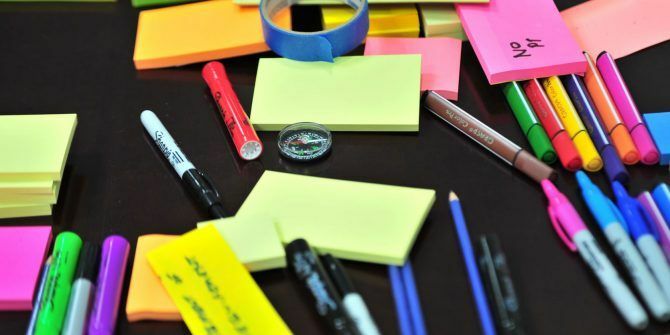 That’s why it’s up to you to spring-clean your boards from time to time for a better Trello workflow 5 Productivity Tips Each Trello User Should Start Using 5 Productivity Tips Each Trello User Should Start Using Part of the reason why Trello is so great is that it has several productivity features built right into the platform. Here are some that will prove useful. Read More . And while you’re at it, how about cleaning up your entire digital life The KonMari Method Applied to Your Digital Life The KonMari Method Applied to Your Digital Life To live a happier life, discard everything that doesn't bring you joy and organize the rest. Here's how to apply the KonMari method to your digital life. Read More ?